NEW CONSTRUCTION!! 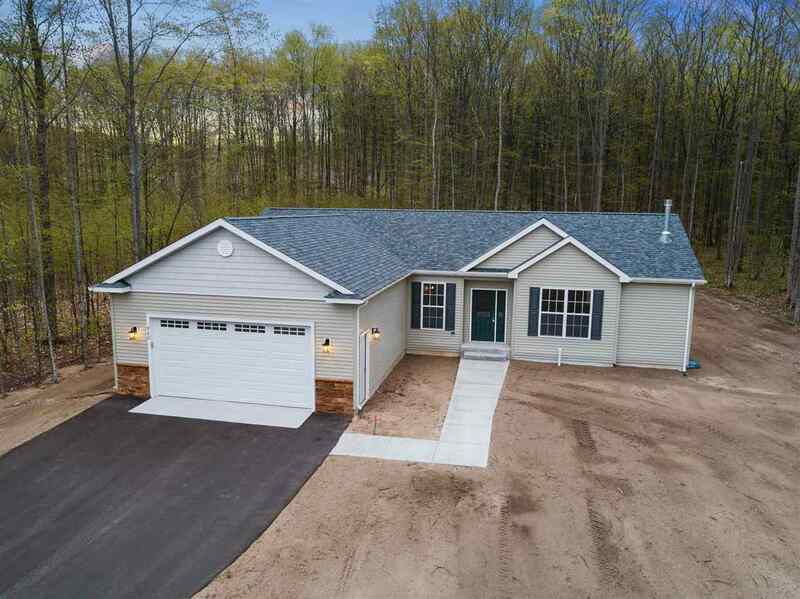 Three bedroom home just 2.4 miles from the Petoskey City limit. The community of Windsong Woods offers an ideal location, stately entrance with stone walls and a large pond, and impressive home choices. This one level home features a spacious master suite with walk~in closet, floor to ceiling stone fireplace in living room, upscale kitchen with quartz counter tops, stainless steel appliances, and kitchen island, 9' ceilings throughout, large laundry area, attached two car garage, and full unfinished lower level with plumbing for a bath..